ME TO YOU TO A SPECIAL GODMOTHER BIRTHDAY CARD TATTY TEDDY BEAR NEW GIFT. ME TO YOU FOR A SPECIAL NANA BIRTHDAY CARD TATTY TEDDY BEAR NEW GIFT. ME TO YOU NANNY BIRTHDAY CARD TATTY TEDDY BEAR NEW GIFT. 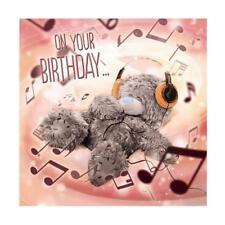 ME TO YOU ON YOUR BIRTHDAY HEADPHONES 3D HOLOGRAM BIRTHDAY CARD TATTY TEDDY BEAR. 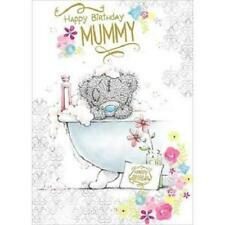 ME TO YOU MUMMY BIRTHDAY CARD TATTY TEDDY BEAR NEW GIFT. Tatty Teddy Cards. Lovely Teddy on the front. ONE STOP KIRBY. 2/ CAKE TOPPERS & CANDLES -A huge selection to make your cakes stand out from the crowd. Add to Favorites. For The One I Love. Be the First to Know. 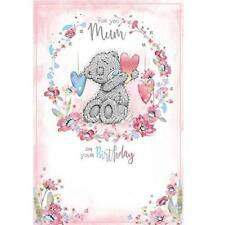 ME TO YOU FOR A WONDERFUL MOTHER WITH LOVE MOTHER'S DAY CARD TATTY TEDDY BEAR. 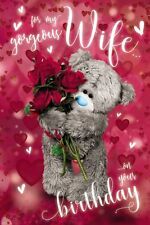 ME TO YOU FOR MY PERFECT BOYFRIEND BIRTHDAY CARD TATTY TEDDY BEAR NEW GIFT. Inside: Hope it's Full of Fun And Laughter. Happy to help Rachel & Tony. Matching envelope included. Happy to help Rachel & Tony. Price : 2.75. Matching envelope included. ME TO YOU FROM YOUR GRANDCHILDREN MOTHER'S DAY CARD TATTY TEDDY BEAR NEW GIFT. ME TO YOU HAPPY CHRISTMAS CARD TATTY TEDDY BEAR WEARING A SCARF NEW. ME TO YOU WISHING YOU A MERRY CHRISTMAS CARD NEW YEAR TATTY TEDDY BEAR NEW. Inside: Wishing You Joy at this Festive Season. Happy to help Rachel & Tony. Price : 2.75. Matching envelope included. ME TO YOU TO YOU BOTH 3D HOLOGRAM CHRISTMAS CARD TATTY TEDDY BEAR. a beautiful NEW GRANDSON. Congratulations on birth of Grandson Me to You card. A beautiful NEW GRANDSON. arrival of your lovely Grandson. CONGRATULATIONS on the. ME TO YOU TO A WONDERFUL NAN MOTHER'S DAY CARD TATTY TEDDY BEAR NEW GIFT. ME TO YOU CHRISTMAS WISHES 3D HOLOGRAM CHRISTMAS CARD TATTY TEDDY BEAR NEW. ME TO YOU YOU'RE AMAZING MUM MOTHER'S DAY CARD TATTY TEDDY BEAR NEW. 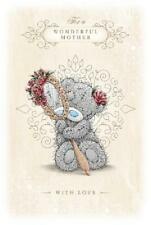 ME TO YOU FOR A WONDERFUL MUM MOTHER'S DAY CARD TATTY TEDDY BEAR NEW GIFT. ME TO YOU THANK YOU SUPER TEACHER CARD TATTY TEDDY BEAR NEW GIFT. ME TO YOU MUM MAKE THE WORLD A BRIGHTER PLACE MOTHER'S DAY CARD TATTY TEDDY NEW. ME TO YOU MUM CUPCAKE MOTHER'S DAY CARD TATTY TEDDY BEAR NEW GIFT. 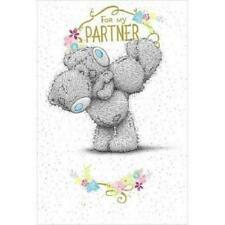 ME TO YOU BOYFRIEND 3D HOLOGRAM CHRISTMAS CARD TATTY TEDDY BEAR. for my amazing BOYFRIEND. 3D lenticular Me to You Birthday Card LOVELY 3D IMAGE! The cover is Lenticular. When the card is moved from side to side, the image is 3D. Really gorgeous! for my amazing BOYFRIEND. The text inside is printed in colour and reads;. for a further selection of interesting cards and gifts for all occasions. Me to You Open Christmas Cards Buy Early When there Gone There Gone! Happy to help Rachel & Tony. Matching envelope included. 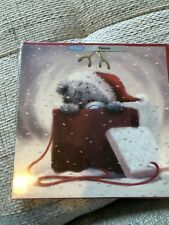 ME TO YOU SOMEONE SPECIAL 3D HOLOGRAM CHRISTMAS CARD TATTY TEDDY BEAR. ME TO YOU JUST FOR YOU MUMMY MOTHER'S DAY CARD TATTY TEDDY BEAR NEW GIFT. ME TO YOU TO THE ONE I LOVE 3D HOLOGRAM CHRISTMAS CARD TATTY TEDDY BEAR. ME TO YOU IF MUMS WERE FLOWERS I'D PICK YOU MOTHER'S DAY CARD TATTY TEDDY BEAR. ME TO YOU FOR A WONDERFUL MUMMY MOTHER'S DAY CARD TATTY TEDDY BEAR NEW GIFT. 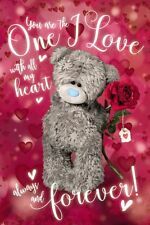 ME TO YOU ARE MY ONE & ONLY VALENTINE'S DAY CARD TATTY TEDDY BEAR NEW GIFT. And a Very Happy New Year. Matching envelope included. New Be my Valentine greetings card. Front of card reads: Be my Valentine and further down I Love You. Inside of card reads: Wonderful.Gorgeous.You! Inside - Christmas will be perfect spent with you With Love. Happy to help Rachel & Tony. Price : 3.99. Matching envelope included. Happy to help Rachel & Tony. Price : 3.99. Matching envelope included. To a very Special Friend. Inside: Have a wonderful Christmas With Love. Happy to help Rachel & Tony. Matching envelope included. ME TO YOU FROM YOUR GRANDDAUGHTER MOTHER'S DAY CARD TATTY TEDDY BEAR NEW GIFT. Inside (page insert): You're such a Lovely Mummy so Perfect in Every Way. Happy to help Rachel & Tony. Matching envelope included. Me To You Tatty Teddy On Your Wedding Day Picture Frame Celebration Size 7"x5"